Recent advances in science have unveiled the crucial impact of light on our sleep patterns and health. We evolved under sunlight, and specialized cells in our eyes respond to its blue light wavelengths to synchronize our internal clocks – and set a circadian rhythm. Natural sunlight is bright and filled with blue light in the morning to wake us up. As the sun sets, blue light recedes, signaling our bodies to prepare for sleep. However, in our modern world, we live under artificial lights and in front of LED screens – which are often packed with blue light content. Numerous studies now conclude that even common levels of blue light exposure in the evening, primarily coming from our artificial lighting sources, can negatively impact sleep and longer-term health. Today more than 60% of Americans report sleep problems. Helia takes on these concerns with a unique, new approach – replicating the timing and visible spectrum of natural sunlight. Leveraging Soraa’s advanced LED technology coupled with an enterprise-grade networking and sensor platform, Helia adapts to your environment automatically, based on your home’s sunrise and sunset times, tuning for your habits and health. Helia bulbs provide plenty of blue light in the morning to wake you up. During the day, museum-quality light makes your surroundings come alive. And in the evening as you wind down, Soraa’s patented BlueFree™ LED technology removes blue light completely, while retaining a beautiful, soft white color. Dr. W. Chris Winter adds, "paying attention to the amount and quality of the light you expose yourself to during the day and night is probably the single biggest modifiable factor for getting a healthy night of sleep." Dr. Winter is a Sleep Specialist and Neurologist who consults for several NBA, NFL, MLB and NHL teams. Other smart bulbs can change color during the day and night, but since they are all made with standard LEDs, they emit up to 20 times more blue light and can make your rooms unnaturally yellow. Instead, Helia lights up your surroundings beautifully, without compromising color quality. Guided by Soraa’s expertise in color science, which has already benefited extraordinary places such as the Palace of Versailles and the Cartier Mansion, Helia emits a tailored spectrum, white light to render beautiful and vivid colors throughout the day and night. With Helia, smart home lighting finally becomes simple to install. Just screw in your Helia bulbs, turn them on and they will automatically connect to one another over the existing power lines in your house and start working together - before you even open the app. No wireless hub or internet connection is required to provide seamless integration with no wireless dead spots. You can then refine your lighting experience with the Helia app by providing information about where your house is located and when you usually wake up in the morning and go to sleep at night. For consumers who want to connect their Helia lighting system to popular IoT cloud services, Helia has created the Cloud Connect accessory. Simply plug the Cloud Connect into an outlet near your home Wi-Fi router. Your system will be connected to Helia’s secure cloud and ready for Amazon Alexa Voice commands, remote control when you’re away from the home and IFTTT compatibility. Additionally, Helia lighting systems connect seamlessly to popular IOT ecosystems. Helia will be available initially in the North America market Spring 2017 at Helia.com and will be sold as Room Kits, allowing consumers to easily order the precise number of bulbs and Smart SNAPS needed to outfit an entire room(s) with healthy lighting. 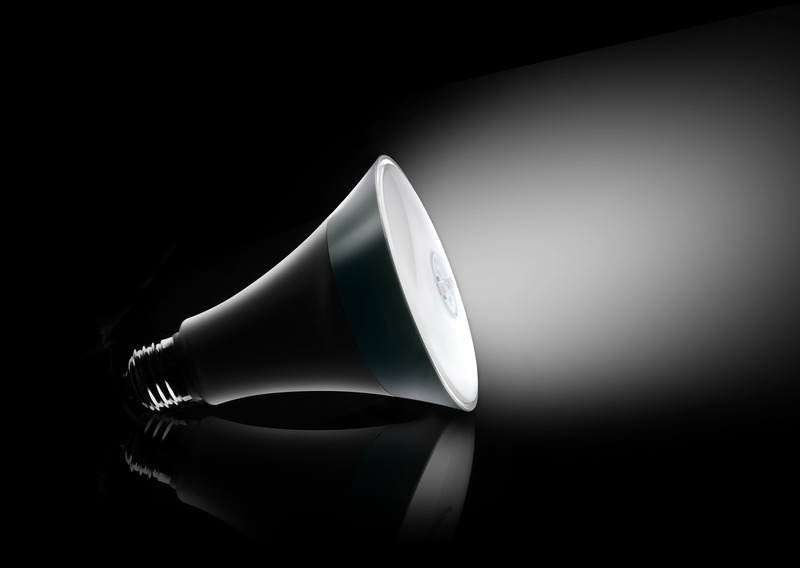 Dynamic White BR30 bulbs will retail for $49.95 each, Dynamic White + Presence Smart SNAPs (one per room) will retail for $29.95 and the Cloud Connect accessory is $49.95 (optional, one per home). You can follow Helia on Twitter, Facebook and Instagram.